We are the reputed manufacturers of a wide range of Roofing Sheet that are designed and manufactured as per the latest technological advancements. Manufactured using superior quality materials, these sheets are available in different standard sizes and thicknesses. Tested on various quality parameters, the sheets are appreciated for environment friendliness, low maintenance and optimum performance. PMS profile is 1080 mm wide coverage with 28-30 mm deep ribs at 200-250 mm center to center with two/three stiffners in between ribs. Weights are based on cover width for bmt as shown. Substrate is galvalume steel (150 gms / m2 coating mass) & galvanised steel in 120 gsm/m2 coating mass. Color Blue, Red, Green, White. 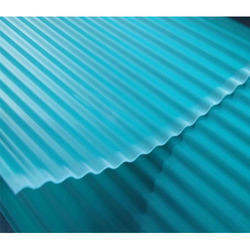 Leveraging on our well developed infrastructure, we are involved in offering a wide range of colour Pioneer Roof Sheet. These sheets are manufactured from premium quality materials and can be highly acclaimed for high strength, light weight, excellent finishing and corrosion resistance. These roof sheets are ideally suitable for factory shed, warehouses, swimming pools, gardens, terrace, open-to-sky areas and parking areas. Dimensions 1220 mm x 3600 mm. Ridge Cover offered can be made available by us in options of different thicknesses of 2.0mm, 3.0mm and others as well as in width of 720mm/1050mm. 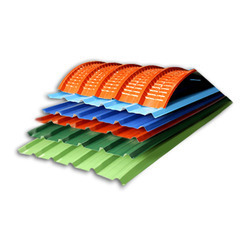 Pioneer India is has got huge exposure in providing ridge cover flashing as per the requirement produced by clients. Our ridge cover & flashing are loaded with several quality features which other manufacturers might have heard about. We can fulfill any size of order to ridge cover and flashing. Contact us for other details you need to these products. 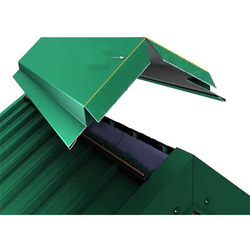 Pioneer India is offering ridge cover flashing, ridge cover and flashing, ridge cover flashing india being the leading ridge cover flashing manufacturer, ridge cover and flashing manufacturer in India. We have in store for our clients quality range DECK Sheet for Roofing & Flooring which is ideally suited for steel decking applications. 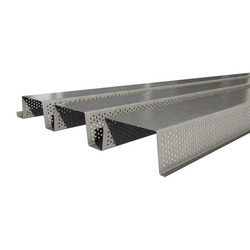 These are suitable both as form work permanent shuttering for casting RCC roof on steel purling as well as for composite decking for roof / floor slabs. Moreover, the geometry is custom and is engineered so as to optimize structural efficiency, economize concrete consumption and minimize extraneous usage of cement & steel. Gutter and downpipes have their application to be used as any form of roof water channel. Gutters are made from qualified steel and are availed in diverse designs to suit most of building designs. Our gutter downpipes easily carry rain water and provided with choice of air components require for perfect finish. Pioneer India is offering gutter and downpipes, gutter downpipes, gutter and downpipes in india, gutter downpipes in india being the most reliable gutter and downpipes manufacturer, gutter downpipes manufacturer. 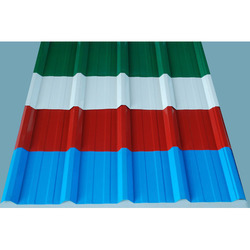 Pioneer India expert in manufacturing and supplying of Colour Coated Roofing Sheet with or without insulation. Our products are manufactured using the highest quality of material, which maintains the durable finish and tensile strength to the panel. Owing to the skill of our skilled professionals, we are able to offer a wide range of UPVC Multilayer Roofing Sheet which is manufactured according to set industry norms. The offered sheet is manufactured from best quality raw material with the aid of highly developed technology. Further, this sheet is tested by quality examiners on distinct parameters to ensure its quality and strength. Moisture Resistance: Excellent use for some industries i.e. chemical, pharmacy, fertilizer, leather, process etc. 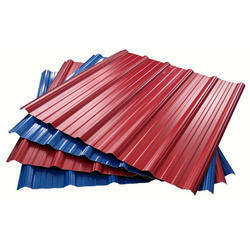 Looking for Roofing Sheets & Accessories ?